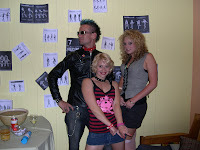 My brother and his wife threw a punk party. 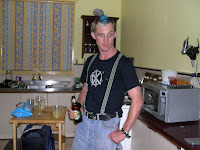 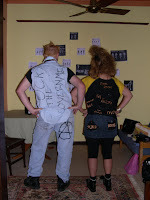 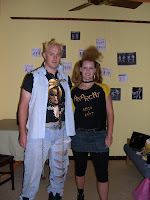 Its really easy to gear up for a punk party, a bit of super glue, some old clothes from the op-shop, a few tears and a bit of imagination. 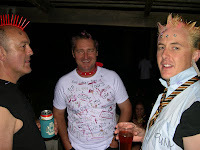 The red golf tee's are particularly inspirational.